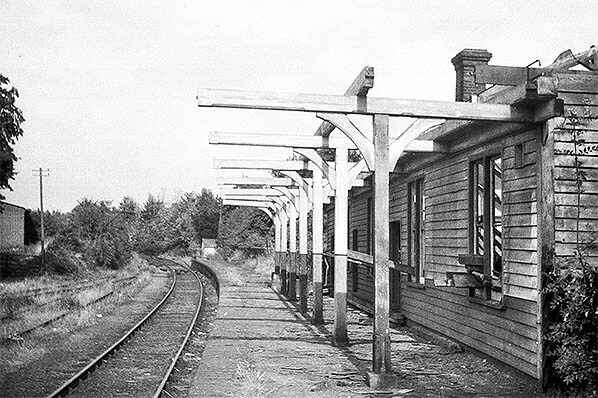 Redbourn station looking south-west in 1958. 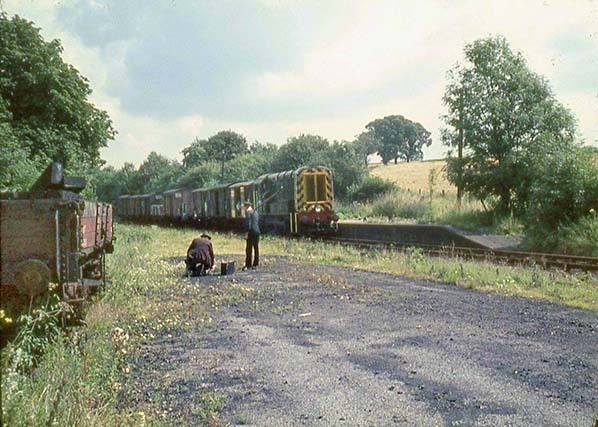 Passenger services were withdraw in 1947 but the goods yard remains busy with coal wagons seen here. South Beds Loco Club The Nickey railtour has waits at Redbourn station while enthusiasts take photos duringf the 12 nubute wait. Health & Safety was not an issue in those days; if someone wanted to climb ionto the coal wagon to get a better picture that wasn't an issue. South Beds Loco Club The Nickey railtour has just left Redbourn and is seen crossing High Street bound for Hemel Hempsted. The tour, hauled by 40026 was a return journey from Harpenden Central to Hemel Hempsted Midland Road. 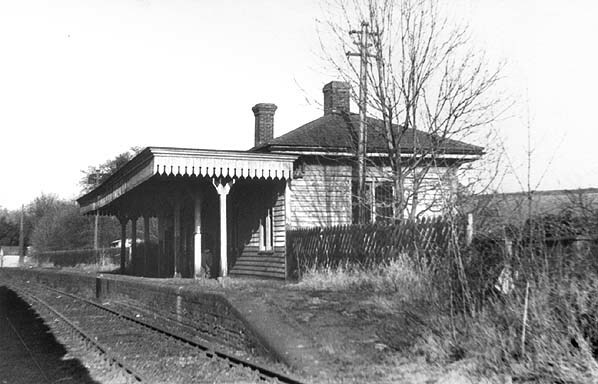 The road on the right before the bridge is the access road to the station which suggests the Bridge Cafe might have been in the station building. 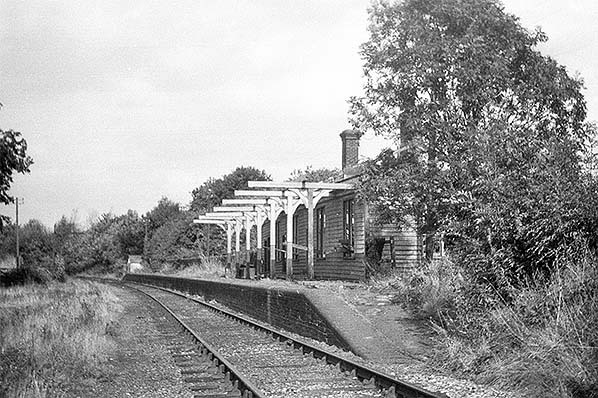 Redbourn station looking south-west in July 1963. 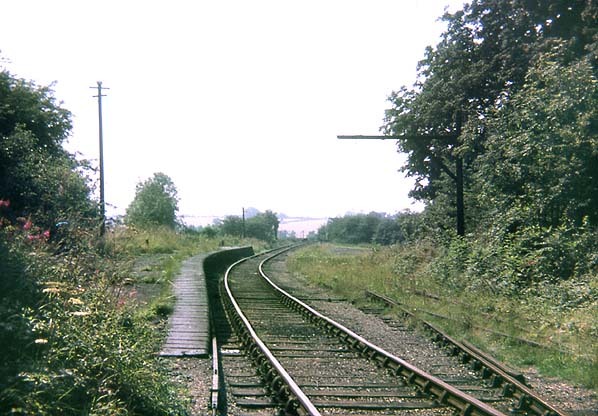 Although the station woukd remain open for goods traffic for another year weeds are beginning to take over the track as well as the platform. 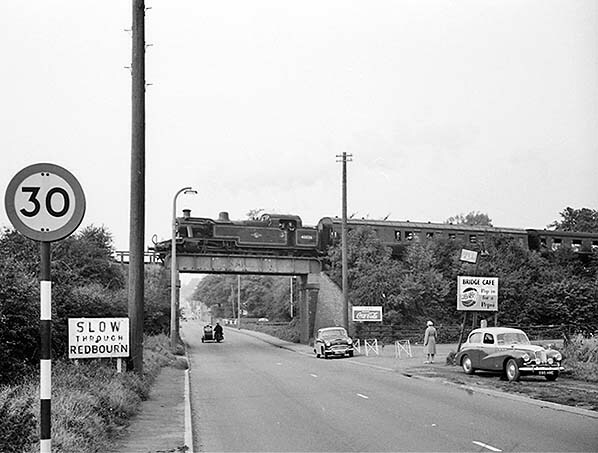 Redbourn station looking north-east in September 1964. 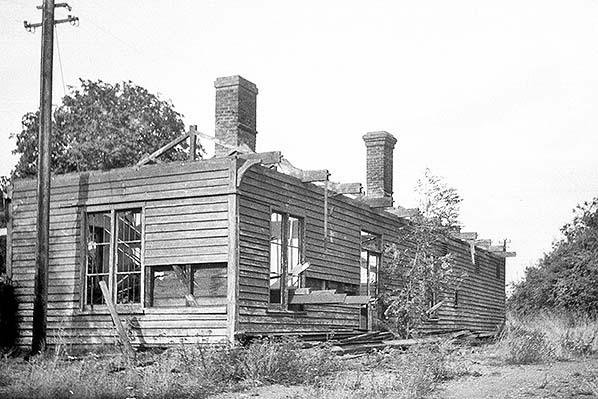 The station closed completely on 6 July and demolition of the station building has started. The line remained open for hemelite traffic. 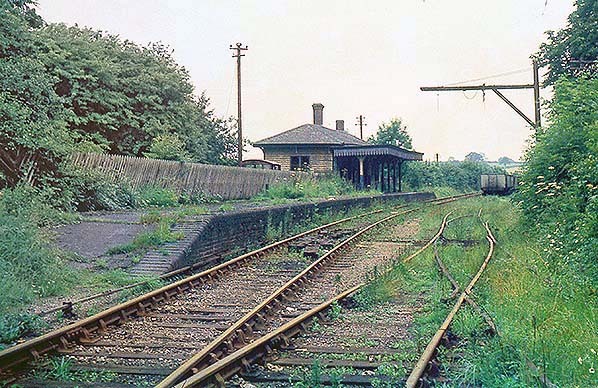 By September 1964 Redbourn station is seen in a very dilapidated state during demolition. On 8 August 1965 during filming of Red Horse, Red Rider, an episode of The Baron. 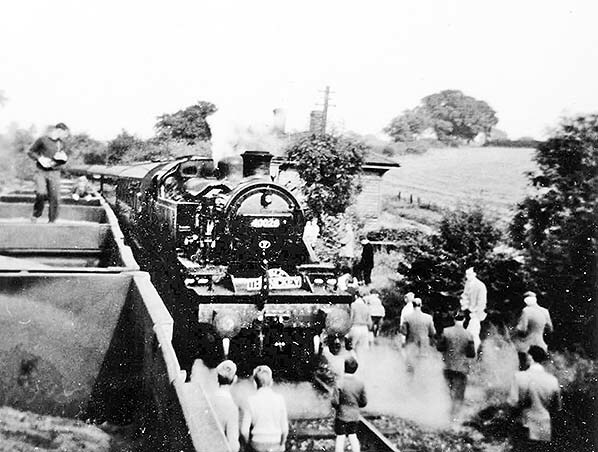 For the filming the St Albans shunt engine brought a train of empty wagons to Redbourn. 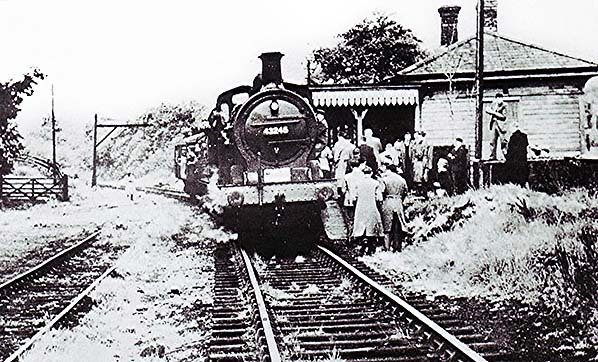 In the film one of the wagons was boarded at the station but filmed from the other side so the platform isn't seen. The class 08 has been modified for the filming with the addition of a headlight. The episode took place in a fictional country overseas. The Baron was filmed at Elstree Studios which is close to the Hemel Hempstead line. 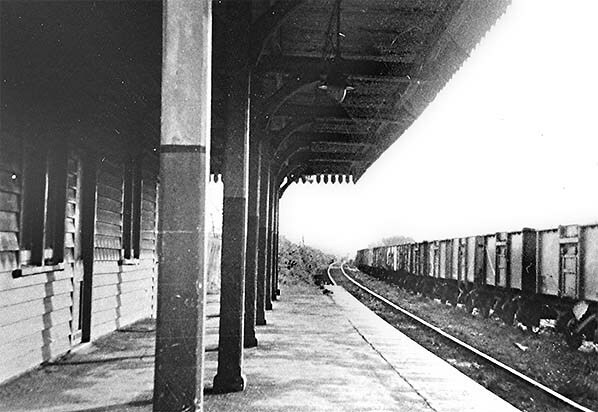 Redbourn Station in looking south-west in 1966; the station building and the goods shed have now been demolished but the sidings remain in place.